GPS and camera enabled cats – Cybercats… GlassCats… « Adafruit Industries – Makers, hackers, artists, designers and engineers! BBC News – Secret life of the cat. Ever wondered what your cat spends its time doing when you’re not around? Where do our purring pets go when they disappear through the cat flap? 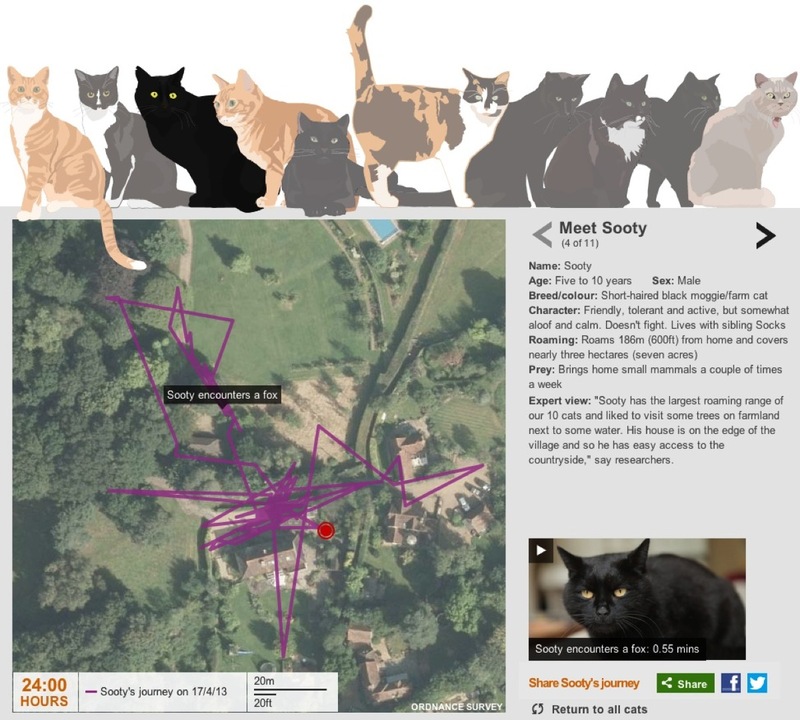 Armed with GPS tracking devices and micro-cameras, a team from BBC Two’s Horizon programme in collaboration with the Royal Veterinary Collegeset off to a Surrey village to find out.